Alexanne (Alex) is a seasoned QA management professional, back by her NQA-1 Lead Auditor certification and multiple Quality Assurance and Program management training. She brings a pragmatic and effective approach to Quality Assurance Program implementation and management through her 15 years in the Construction Industry, eleven of which has been in the nuclear sector working with multiple trade disciples and project support teams. 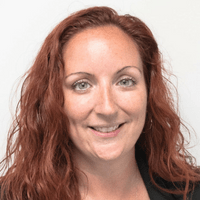 In her role as Senior Quality Assurance Manager and Business Development for EMC Power Canada, Alex has full responsibility for the day to day operations within Quality and provides additional support wherever needed corporately. Alex is an outspoken champion for mentorship programs and helping educate the different career avenues the nuclear industry can provide.